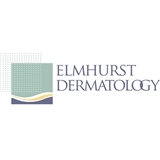 Elmhurst Dermatology (Elmhurst) - Book Appointment Online! With the proliferation of medi-spas and even nonphysician skin care facilities, one needs to identify who is truly an expert in skin care. A Board Certified Dermatologist has been specifically trained in the identification and treatment of skin disorders – from the surgical treatment of cancer to the medical management of lupus, from babies to great-grandmas, from acne, to botox. Board Certified Dermatologists have led the way and continue to set the standard in the care of skin. You wouldn’t hire a plumber to fix your roof – why entrust your skin to anyone other than a Board Certified Dermatologist?